With AI reaching a tipping point, countries across the globe are building up their capabilities. A widely cited Accenture report highlighted AI has the potential to add US$957 billion, or 15 percent of India’s current gross value in 2035. One of the key takeaways was that the combination of technology, data and talent that make intelligent systems possible has reached a critical mass, driving extraordinary growth in AI investment, but is India ready to cash on this opportunity. Leading AI practitioners and the C-suite believe this and with funding for AI startups growing at an unprecedented rate. 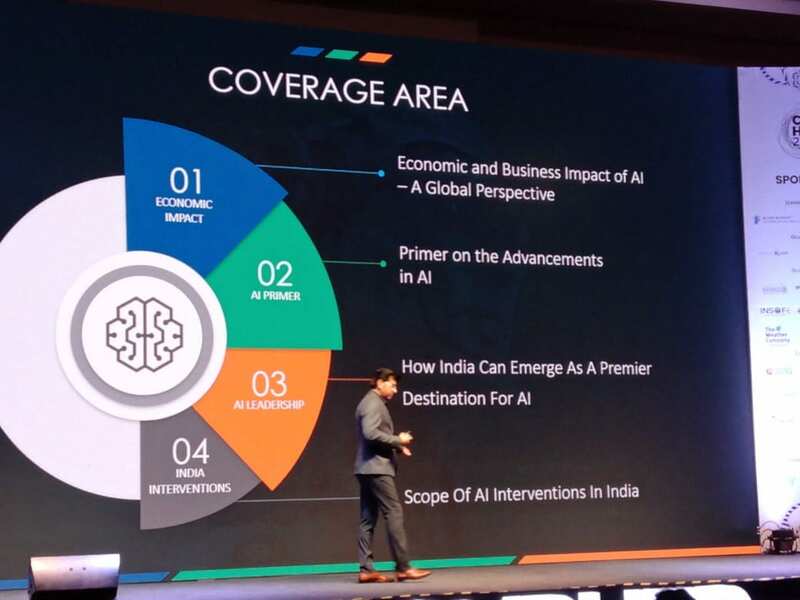 Another highlight was AI’s potential to add US$957 billion, or 15 percent of current gross value added, to India’s economy in 2035. We cast a look at top industries in India — manufacturing, healthcare and ITES that are leading in terms of AI deployment. 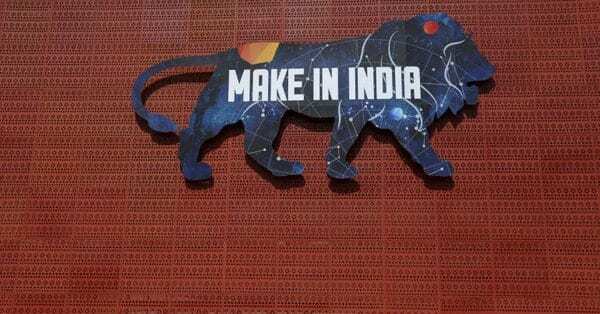 Also, the Make In India and Digital India campaign have also spurred new-tech adoption among Indian companies. Automation on a rise: So, is India the leading adopter of AI. In terms of automation, India has outgrown Japan and US, a new study by Automation Anywhere noted. An academic study conducted by Goldsmiths, University of London and commissioned by Automation Anywhere showed 71 per cent of Indian respondents revealed employees used RPA and AI-based augmentation to its full potential — the highest proportion in the four markets surveyed. According to a press release, Dr Chris Brauer, Director of Innovation in the Institute of Management Studies (IMS) at Goldsmiths, University of London noted that while the hyped potential of AI generates endless headlines, technologies such as RPA are quietly being rolled out in many of the most productive companies around the world – humans and bots are already working alongside each other across the globe and in every sector. Manufacturing sector sees a share rise in profits due to AI: That’s one indicator of India being a prime market for AI. Accenture report shares how the manufacturing sector could see a significant increase in the share-of profit thanks to AI-powered systems that learn and evolve over time. Another study, The Ghost in the Machine: Artificial Intelligence in the Factory of the Future, conducted by BCG, ranked India third after the USA and China in terms of artificial intelligence (AI) implementation. The global management consulting firm surveyed manufacturing and technology managers from 1100 industrial companies worldwide about their applications of and willingness to invest in AI. Uptick in healthcare: With AI getting embedded in diagnostics and in overhauling the overall patient experience with AI-powered solutions, healthcare providers are warming up to the idea of implementing AI to assist physicians and improve patient outcome. For example, Bengaluru-headquartered Manipal Hospitals, leverage IBM Watson for Oncology to help physicians identify personalized cancer care options across the country. In a recent interview, Sundar Srinivasan, General Manager, Artificial Intelligence & Research team at Microsoft India, talked about Microsoft’s partnership with LVPEI, wherein MSR launched the Microsoft Intelligent Network for Eyecare (MINE) to apply AI to help eliminate avoidable blindness and scale delivery of eye care services across the planet. “This initiative harnessed the combined power of data, cloud, and advanced analytics to drive strategies to prevent avoidable blindness. The initiative which had also been adopted by the state of Karnataka has now expanded into the AI Network for Healthcare to create an AI-focused network in cardiology, in partnership with Apollo Hospitals,” he said. Srinivasan also shared details about an AI powered Interactive Cane, which will function as a visual aid for the visually impaired. MSR is experimenting with adding sensors to existing canes and adding gesture recognition to enable the cane to provide the user with information that would not otherwise be available. Interestingly, MSR is trying to do this by using low resource sensors that are also intelligent, so that real-time information and feedback is available to the user.Similarly, Bengaluru’s Columbia Asia Hospitals too started using startup Cardiotrack’s AI algorithms to predict and diagnose cardiac diseases better. Meanwhile, Accenture study indicates that it has developed AI-powered smartphone solution called Drishti to help the visually impaired improve their experience and enhance their productivity in the workplace. 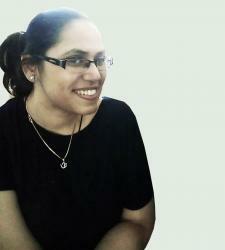 The solution, was developed and tested through a collaboration with the National Association for the Blind in India.